mosquito bite can turn into something much more severe if you are infected with West Nile virus. Mosquitoes transmit this virus after they bite an infected bird and then bite a person. While not all people with infected mosquito bites will get the disease, it can be a very severe occurrence for those with weakened immune systems and the elderly. If it is diagnosed and treated quickly, the outlook for West Nile virus recovery is good, according to the National Institutes of Health. Mild West Nile virus does not typically last as long as the severe form, which can last for several weeks. The severe form can cause permanent brain damage in rare cases. An estimated 80 percent of people an infected mosquito bites will not experience any symptoms at all. 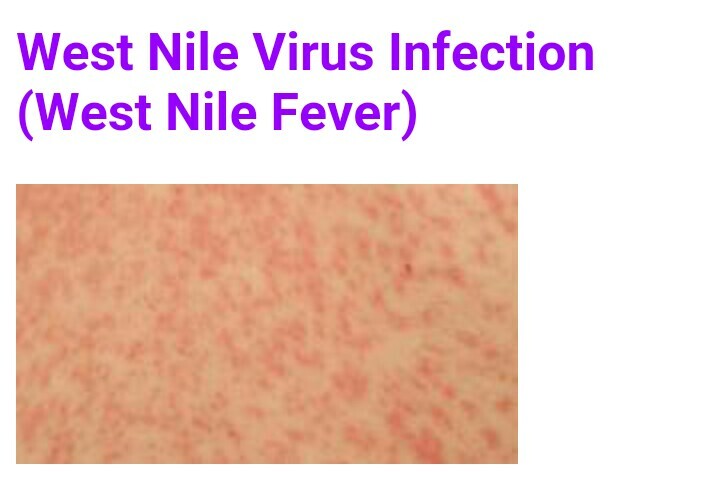 If you have West Nile virus, you will typically show the first virus symptoms within three to 14 days of being bitten, according to the CDC. What Causes West Nile Virus? Infected mosquitoes typically spread West Nile virus. The mosquito first bites an infected bird and then bites a human or other animal. In rare, isolated incidents, blood transfusions, organ transplants, breastfeeding, or pregnancy can transfer the virus and spread the illness. West Nile virus is not, however, spread by kissing or touching another person. Because a virus causes the condition, West Nile virus does not have a medical cure. However, you can take an over-the-counter pain reliever, such as ibuprofen or aspirin, to relieve muscle aches and headaches that can accompany West Nile virus. If you experience severe symptoms, such as brain swelling, your physician may give you intravenous fluids and medications to minimize potential infections.